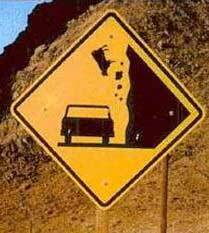 A roadsign showing a cow falling off a cliff and onto a car. Created about 14 yrs, 5 mths ago (November 15, 2004). Updated about 7 yrs, 1 mth ago (March 12, 2012).